It is officially fall right now, despite the drop in temperature many are experiencing across the nation. 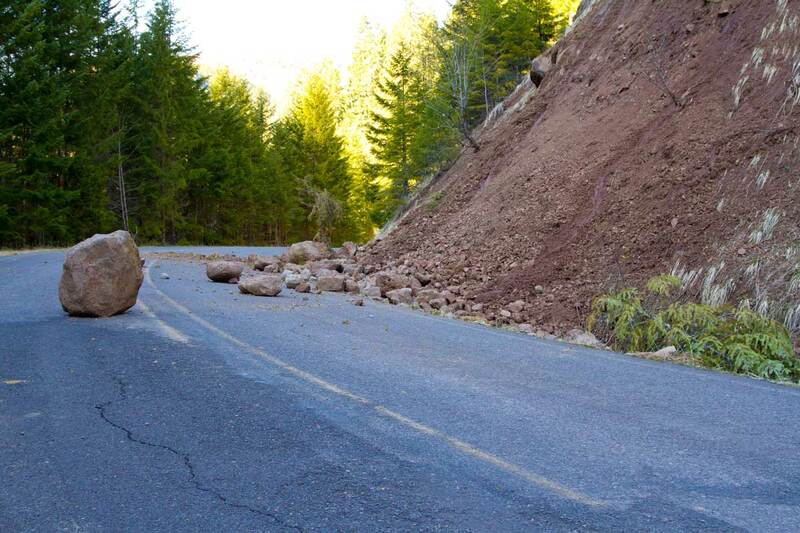 And believe it or not, that makes it a perfect time for a road trip! Especially if you love stunning nature scenery but can’t stand the heat of summer, the cold of winter and the allergies synonymous with spring. 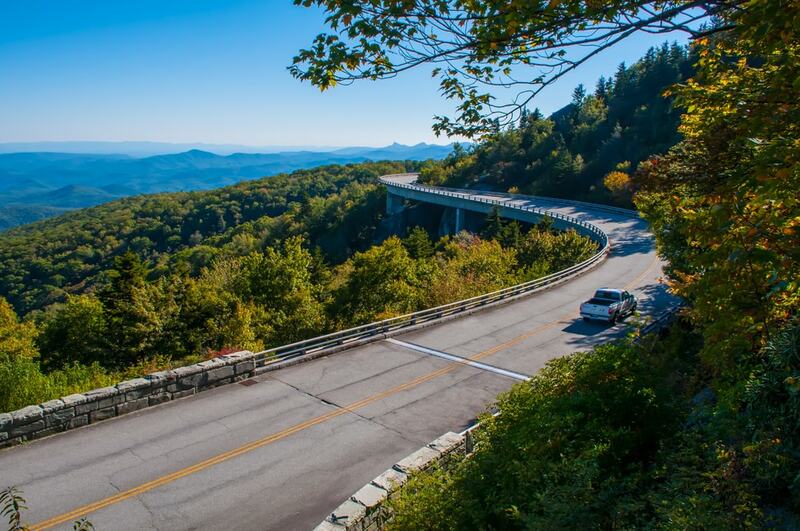 We’ve often gone over some of our favorite trips and roads to go through but today we are focusing on one in particular that stands out: the Blue Ridge Parkway. What is the Blue Ridge Parkway? The Blue Ridge Parkways is part of America’s National Park System. You can find it nestled between North Carolina and Virginia. It is about 469 miles of road. And yet it is more than that. There is so much to see and do along each of those beautiful miles. If you are in the mood to lose yourself to the colors of fall scenery while on a leisurely driver, this is a great trip to attempt. The scenery is magnificent enough on their own but being able to drive offers you more. In fact the whole entire stretch give you access to 2 of the best national parks in this country. You can start or end up at either Shenandoah National Park in Virginia or the Great Smoky Mountains National Park in North Carolina. The choice is yours. Thanks to the differing elevation levels along the road, you will see different sets of fall colors depending on where you are and at what time. Regardless, you are going to see gorgeous fall foliage at every point in this drive. Foliage season is technically from the end of September to mid-November, in case you needed to plan this out soon. Don’t worry so much about crowds, worry about seeing the right scenery at the right time. If you love to go hiking, you should know that the trails in North Carolina and Virginia come ready for all skill levels. One of our favorites is the “Graveyard Fields Loop Trail” You can find it at the 418.8 mile point. And there you have access to photogenic streams and some really vibrant fall colors. No matter what direction you choose to attempt this road trip, you will see great scenery on all sides and lanes. For example, the Linn Cove Viaduct (found on MP 304.4) is often photographed on cameras with panoramic features. If you do not feel like driving non-stop, why not pull over and have a little camping getaway. Now many camp grounds close up shop in November. One spot that stays open would be the Bear Den Campground at MP 324.8. Be sure to have all the necessary camping supplies and relax. So there you have it! 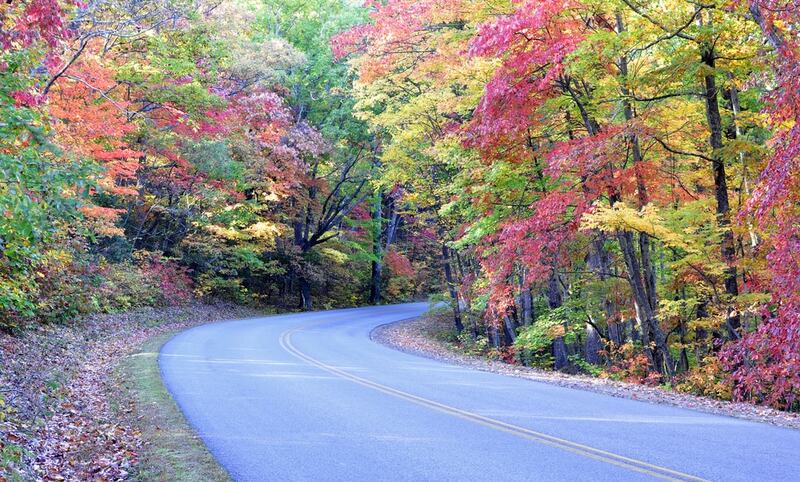 The Blue Ridge Parkway is one of our favorite fall foliage trips. This is one that several Endurance employees have talked up and attempted. If you choose to go, why not snap a few pictures and send them our way so we can share them!